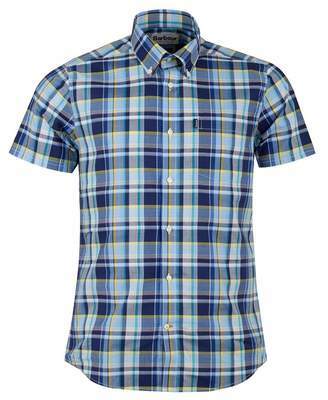 The Barbour Madras 3 Check Tailored Fit Shirt is a stylish staple piece to turn to time and time again. Constructed from pure cotton with a soft hand feel, sporting an all-over checked design, a buttoned down collar, short sleeves and finished with a single patch pocket to the chest with signature Barbour branding. 100% cotton Checked design Button down collar Button fastenings Patch pocket to chest Barbour brand label to chest pocket Short sleeved Curved hem Tailored fit Machine wash Size & Fit Size photographed: medium Pit to pit: 21"